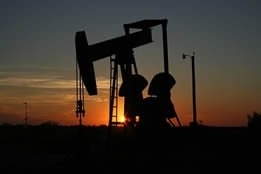 More substantial draw downs - even though temporary in nature - in U.S. crude inventories caused a boost in prices on Wednesday, with Brent rising $1.04, or 1.5 percent, to $71.65 per barrel, and West Texas Intermediate climbing 64 cents, or 1 percent, to $64.62 per barrel. According to the Energy Information Agency, gasoline inventories posted the steepest draw down since September 2017: 7.7 million barrels, compared with analysts' expectations in a Reuters poll for a 2 million barrel drop. However, the resulting price rises in the two benchmarks is due to an increasing focus on the impending peak summer driving season; news from the IEA that crude inventories swelled by 7 million barrels last week compared with analysts' expectations for an increase of 2.3 million barrels was ignored by traders. The market was also supported by the monthly report from the Organization of the Petroleum Exporting Countries (OPEC) released Wednesday, which disclosed that Venezuela's oil output sank last month to a long-term low below 1 million barrels per day (bpd), due to U.S. sanctions and blackouts. Also, Saudi Arabia took another 324,000 bpd off the market, bringing output to just under 9.8 million bpd, and supplies from OPEC in total were reduced via its production cuts by 534,000 bpd in March to 30.02 million bpd, hitting a four-year low. Ole Hansen, commodity strategist at Saxo Bank, noted that "With geopolitical risks continuing to impact production from Venezuela and Iran and now also potentially Libya and even Algeria, the crude oil market is likely to remain supported until the price reaches a level that is satisfactory for OPEC and Russia." John Driscoll, chief strategist at JTD Energy Services, echoed the same sentiments by telling CNBC television, "When I was on the show a month ago, I said we are going to breach $70 on Brent but it will be short-lived. "Well, let me amend that: I think this one has got a bit more legs....Libya has come back into play, Iran, Venezuela, it's all getting stronger." That may be, but Stephern Brennock, analyst at PVM, warned that "The Russian camp is increasingly coy about extending supply cuts; suffice to say this may throw a spanner in the works for a sustained price recovery."